While Microsoft launched the cloud version of their popular applications and productivity products in June of 2011, most small businesses are still trying to figure out what this product means for their company. Should they continue to pay for and use the premise based software as they have always done, or should they move to the subscription based cloud offering? Unfortunately, the answer to that is not any clearer today than it was in 2011 and requires research and guidance. There are many potential benefits to moving your small business to Microsoft Office 365, but there are many challenges to consider. Each business needs to assess how the benefits and challenges will affect their needs, goals and work culture. Security and Reliability – The biggest concern for businesses using the cloud is the feeling of losing control of your business critical data. The Microsoft cloud-based products offer the highest level of security and boast of a 99.99% “financially guaranteed” uptime. Also, your data is already on the cloud and therefore is automatically backed up. Scalability – Unlike the premise based office products that you have bought in the past, Office 365 allows you to grow, or shrink, your investment in Office applications as your business requires. Mobility – As more employees work offsite, the majority of O365 plans allow users the ability to access their Office applications and data from their mobile devices through mobile apps for Windows phone, iOS and Android. Desktop Productivity – Each Office 365 subscription provides you with a fully installed version of the Office applications on all of your devices. One subscription allows you to install Office on 5 devices, giving you a consistent experience across all of your technology. Multiple Package Options – Currently there are three packages available for business that range from £3.10 per month per user to £7.80 per month per user. This allows you to select the most appropriate solution and benefits for your business, but also each individual user in your office. You can mix and match plans to truly fit your needs and budget. Privacy – All of your organizations private data will be housed on Microsoft’s servers, and for legal reasons, data housed outside of your organisation may not be an option. Subscription – Depending on the size of your organization, having more recurring fees may not be the goal to upgrading. If you recently upgraded or the current version of Microsoft is meeting your organisation’s needs, migrating at this time may not be in your best interest. For a complete break down on price to plans for Microsoft Office 365, click here. Software Limitations – Hosted applications like SharePoint Online and Exchange do not have the ability to allow the same capacity limits that on-premise counterparts provide. A specific example is the recipient rate limitations, or the number of recipients inside or outside of your organisation that can receive an email in the span of a day. Subscription sizes vary and range from 1,500 to 10,000 users. Other software limitations include mailbox size and site collection quotas, make sure you aren’t going against limitations when deciding to upgrade is very important. Network and Internet Access – If your internet or network goes down, you cannot access your data. Microsoft does not control how you access the internet so they cannot be held accountable if there is an outage with your Internet Service Provider. Soft Costs – The most obvious cost is the necessary subscriptions you would select for your business, but you also need to consider the costs of properly migrating your data, setting up of accounts and training on the new solution. Before moving your business to Microsoft Office 365, make sure you weigh all of the pros and cons against your organizations needs and goals. The reality is that Microsoft Office 365 will at some point be your only option for accessing the Office applications you have come to rely on. Today, the decision is still up to you. 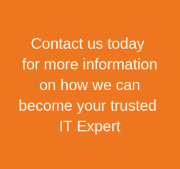 For assistance with deciding if Microsoft Office 365 is a good fit for your business, consult with the technology experts at Computer Troubleshooters today for a free site survey! https://computertroubleshooters.co.uk/southwarwickshire/wp-content/uploads/sites/15/2018/11/computer-troubleshooters-3.png 0 0 ctuk.admin https://computertroubleshooters.co.uk/southwarwickshire/wp-content/uploads/sites/15/2018/11/computer-troubleshooters-3.png ctuk.admin2016-06-23 15:59:002016-06-23 15:59:00Is Microsoft Office 365 Right for My Office?